The Front Royal Pregnancy Center is proud to announce that Director Kathy Clowes received her Master’s degree in Psychology this month. For the past few years Kathy has been hard at work at the pregnancy center during the day and then taking classes at night. She entered the program at the Institute for Psychological Sciences because she knew that it would allow her to bring an even higher level of knowledge and skills to her work at the pregnancy center. namic relationships with clients, and how to act effectively in situations where crisis intervention is needed. In addition to enabling her to more effectively serve clients, the degree in Psychology will aid her in her role as director and allow her to provide even more comprehensive trainings to the staff of Front Royal Pregnancy Center. 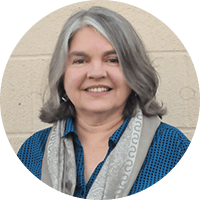 Kathy has been a critical part of the center’s mission for many years; she has been helping clients, women, children and couples at FRPC since 1998. After eight years as a peer counselor, Kathy became director in 2006. Prior to coming to Northern Virginia, Kathy advocated for women for 12 years in the Pacific Northwest. Because she likes to see clients thrive, she regularly works with clients one on in challenging circumstances. Call 540-635-6181 today to schedule a tour of the Front Royal Pregnancy Center and see our remodeled facilities. We would love to share more with you about what we are doing to constantly improve in our mission to help women, children and couples.